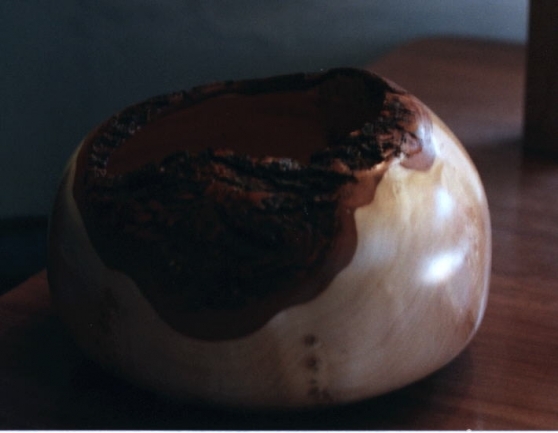 While I do several kinds of woodworking the thing that has really caught my attention in recent years has been wood turning, or making things on a lathe. I have made a variety of bowls, plates, vases, pens and other miscellaneous items on the lathe. I think the thing I like best is that most of the wood I use is free because it comes from trees that are being removed or have fallen down during storms. These are just a few of the things I have made. 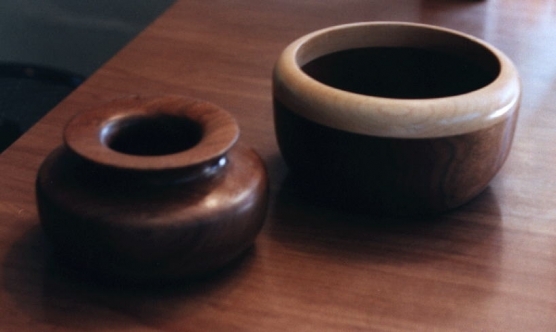 These are bowls with the natural bark still on the rims. 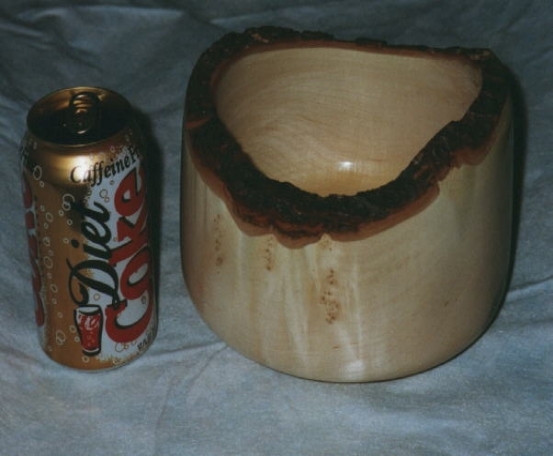 The bowls were made from a Maple tree in Maryland. 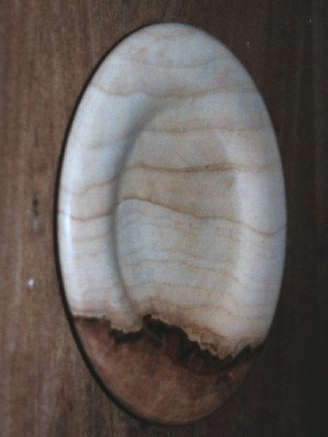 This is a hollow form with some of the natural bark top included. This is also from the Maple tree from Maryland. Most of my bowls, platters, hollow forms, vases and even some of the pens I make come from downed trees I have come across. The chunk to the right is a prime example of the wood I use. This particular piece came from a Silver Maple that was taken down on the Ohio University campus. 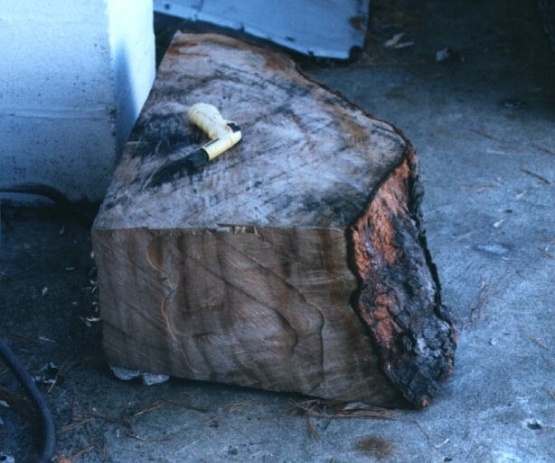 The tree had become diseased (which spalted the wood and made some beautiful patterns in the wood) and was being hauled off as firewood. I got about 800 pounds which I turned into at least 30 bowls, a few platters/plates, nearly a dozen pens and I still have a bunch left. The best part is it was all free. 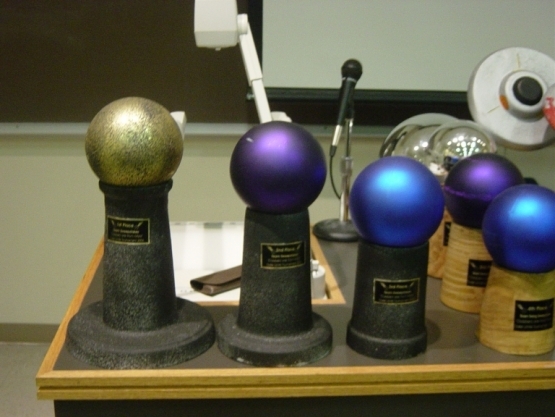 I think the hollow form to the right came from O.U. tree (I could be wrong). I really like the form. The combination of the bark-top and the dome lid/hollow form is kind of unique. This particular bowl went to my cool cousin in Denmark. His name is Hugo. This is a vase I made for my wife, it is about 13 inches tall. I treated the inside with wax so that it was water tight. It was easily her favorite of all my turnings. 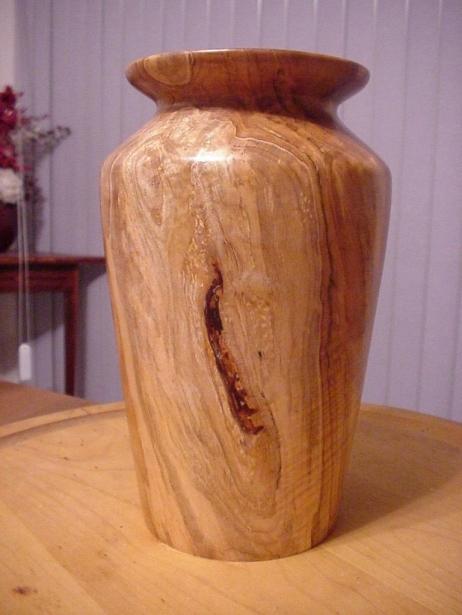 When my wife passed away I had a friend convert this vase into an urn for her ashes. I am sure she appreciates the fact that I made the vessel. Unlike most of my turnings the bowls on the right came from a box of kiln dried bowl blanks that my wife bought for me. 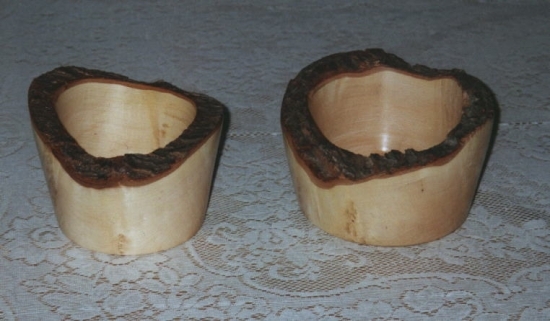 The one on the left is Walnut and the one on the right is a Walnut bowl with a Maple rim top. I can also make wooden pens. The pens on the right may be the most beautiful pens I have ever made. They are made from the ever popular OU tree but notice the spalting and figuring. It is truly an exceptional tree for a woodworking nerd to come across. Have I mentioned it was free? Eventually I became a big enough pen nerd that I actually made a small display box for my desk just to display my pens. The wood for the box comes from an old barn (like 100 years old) in Maryland. I think it is probably hickory but if someone wants to say otherwise I am open to suggestions. The corners are dovetailed and the interior is flocked. 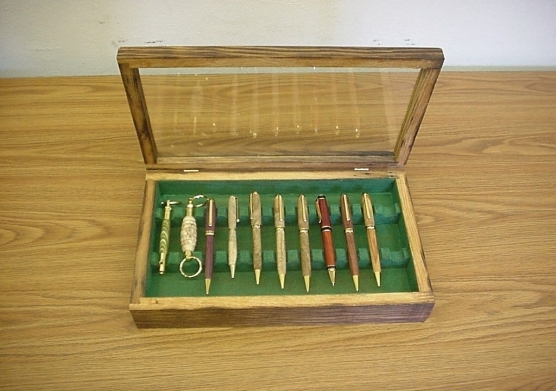 I made the pens and key chains in the box too. These pens aren't made from wood. They are actually made from deer antler. Ante is sort of a low grade ivory so they look and feel great. The drawback is the steel produced when turning them is nasty and stays in your shop for weeks. But they are pretty and unique. Just for fun I would make these wooden eggs out of scraps while I was cleaning my shop. They might look simple but they can be a bit of a challenge to make, especially the ends. The little plate on the right is only about four inches across. The funny thing is it was actually the bottom of a bowl I cut away. I saw the great graining on it and decided there was enough left to turn this little plate. If you want to get all artsy about it, you could say that the wood created its own seascape. The darker grains along the bottom represent a rocky sea line and the tannish lines above that the crashing wave and the rest is just sunset. That is, of course, if you want to get all artsy on me.